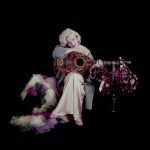 To celebrate the arrival of the new Milton Greene book – The Essential Marilyn Monroe – I wanted to write about Marilyn and Milton. 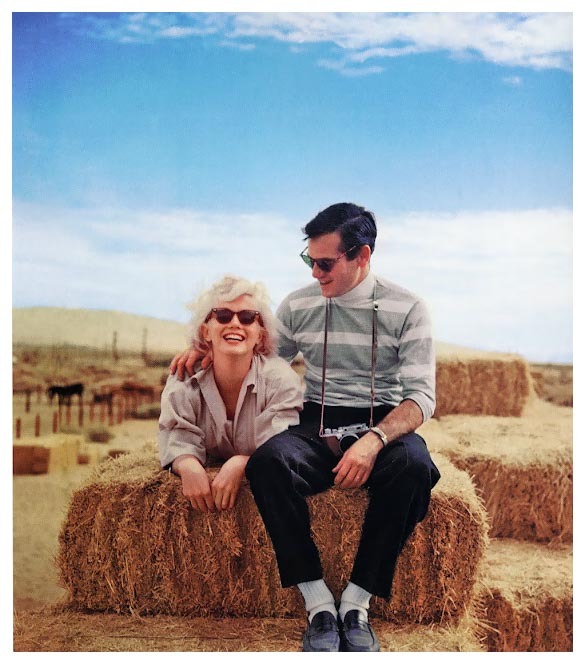 Their friendship spanned from 1953 to 1957 and, I feel, was one of the most important relationships in Marilyn’s life. To find out more keep reading! Milton H. Greengold was born on March 14, 1922 in New York City. Following school he was awarded a scholarship at the Pratt Institute but turned it down in favour of a career in photography – something that had interested him as a teenager. 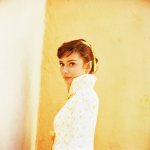 He apprenticed with photojournalist Elliot Elisofen and later worked as an assistant to Louise Dahl-Wolfe. 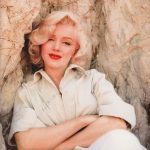 However, by the age of twenty-three he had already forged his own career and become known as the “Colour Photography’s Wonder Boy”. Milton married his childhood sweetheart Evelyn Franklin in 1942 but by 1949 they had divorced. Franklin went on to marry Richard Avedon. Milton’s second marriage was to model Amy Franco in 1953. 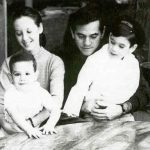 They had two sons, Joshua and Anthony and were married until his death in 1985. 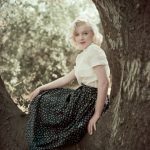 Milton started out taking high fashion photographs in the 1940’s and 1950’s. 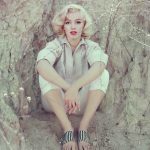 His fashion shots appeared in the likes of Harper’s Bazaar and Vogue but he soon turned to taking portraits of celebrities. 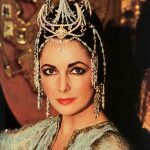 He photographed many high-profile personalities including Elizabeth Taylor, Frank Sinatra, Audrey Hepburn, Grace Kelly, Ava Gardner, Sammy Davis, Jr., Marlene Dietrich, and Judy Garland. 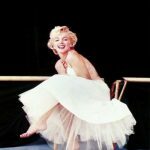 However, it was his collaborations with Marilyn that were to change his life. 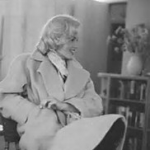 Marilyn and Milton met in early 1953. 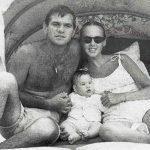 He had been assigned to take photos of her for Look Magazine. At their first meeting she was said to have been shocked at how young this experienced photographer was and exclaimed “But, you’re just a boy!” – Milton replied “and you’re just a girl.” His career preceeded him and she was expecting someone older. 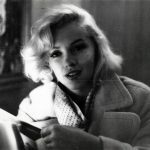 Marilyn had just finished filming River Of No Return. 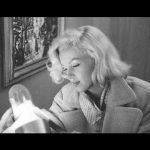 She wore a camel coat and is pictured reading by lamp-light. The photos are beautiful but were not used for the feature. 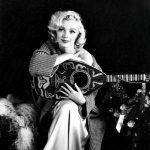 As a result the majority of fans consider The Mandolin Sitting to be Milton’s first time photographing Marilyn – however, The Camel Coat Sitting was actually their first collaboration. 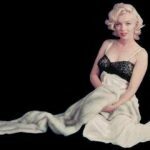 Throughout 1953 and 1954 Marilyn sat for numerous sessions with Milton. 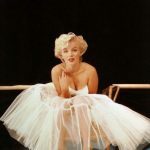 Some of those included; The Mandolin Sitting, The Evening Dress Sitting, The Rock Sitting, The Tree Sitting and, one of their most recognisable shoots -The Ballerina Sitting. 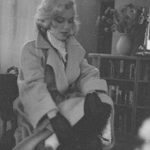 By the end of 1954 their relationship was so close that, as Marilyn left Los Angeles to study in The Actors Studio in New York City, she was invited to live with the Greenes at their home in Connecticut. Milton told her to just hold the dress up against her, and the rest is history! 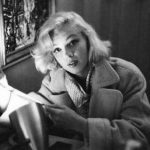 Part two will include how the set up of Marilyn Monroe Productions and Marilyn’s marriage to Arthur Miller had an adverse effect on their relationship.